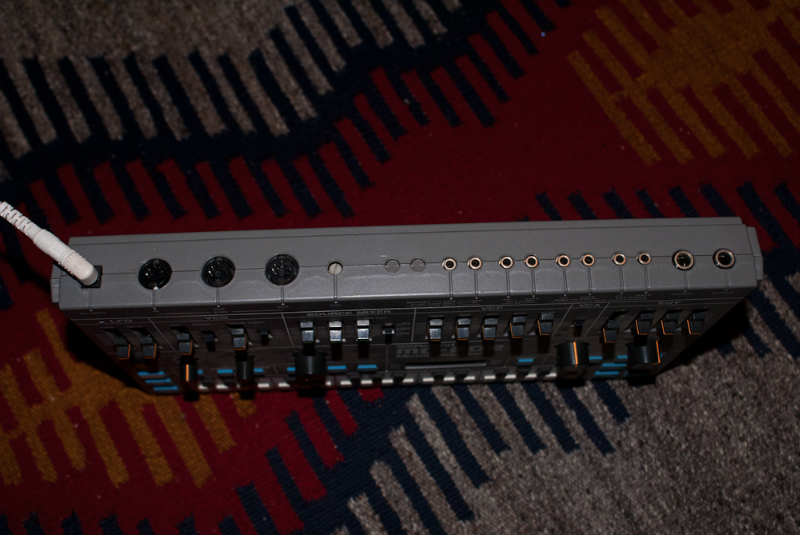 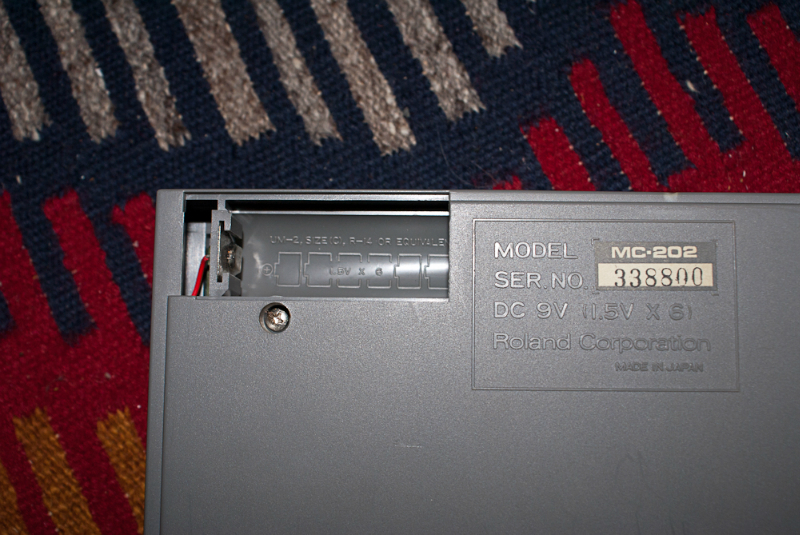 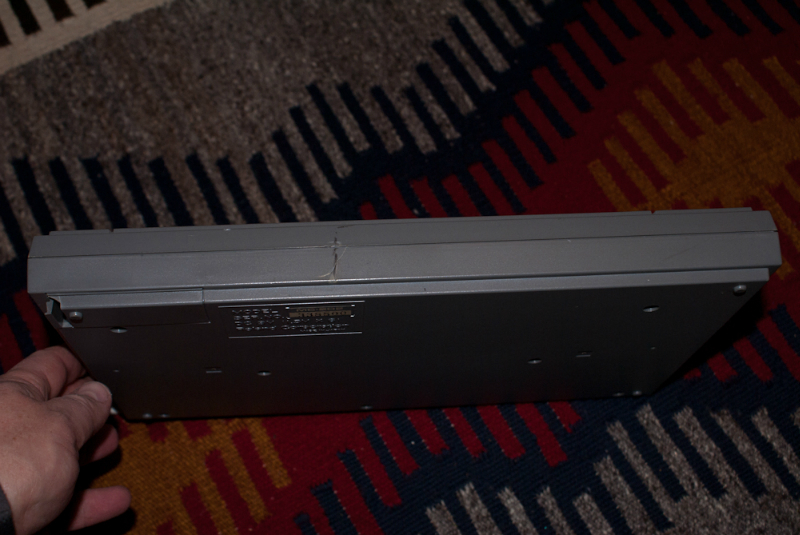 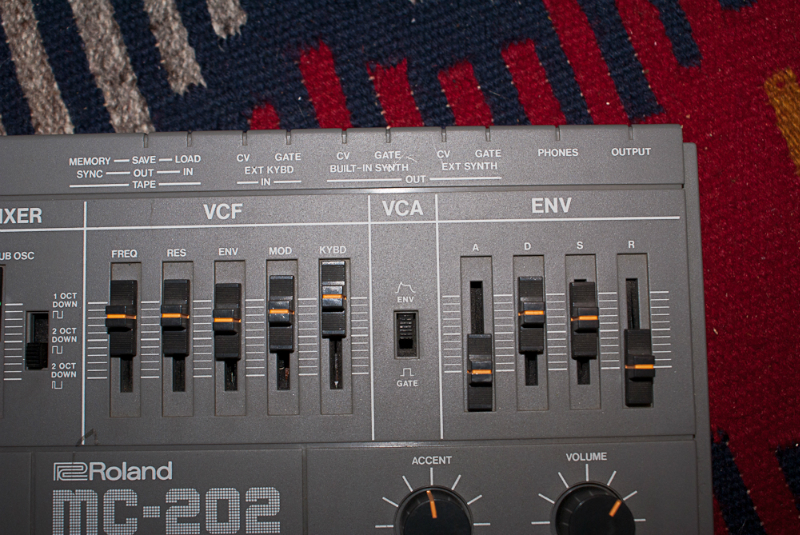 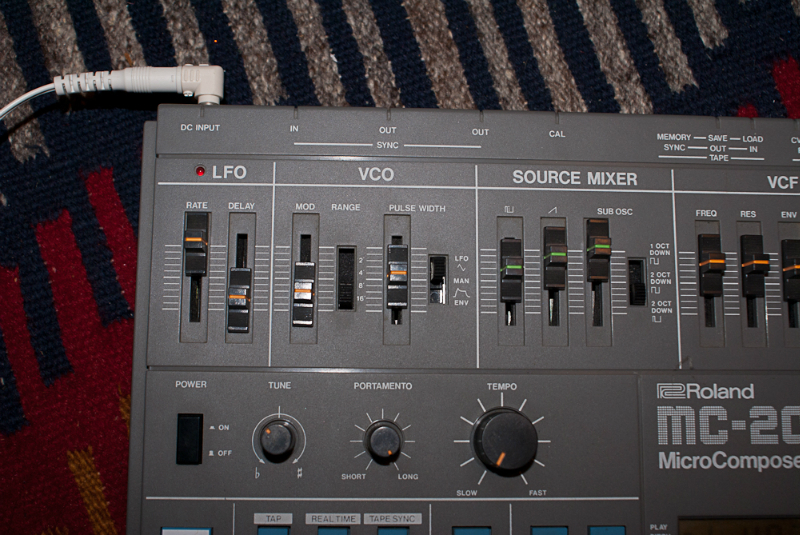 When I bought this, the store also had a TB-303 in the used gear case sitting alongside my MC-202. 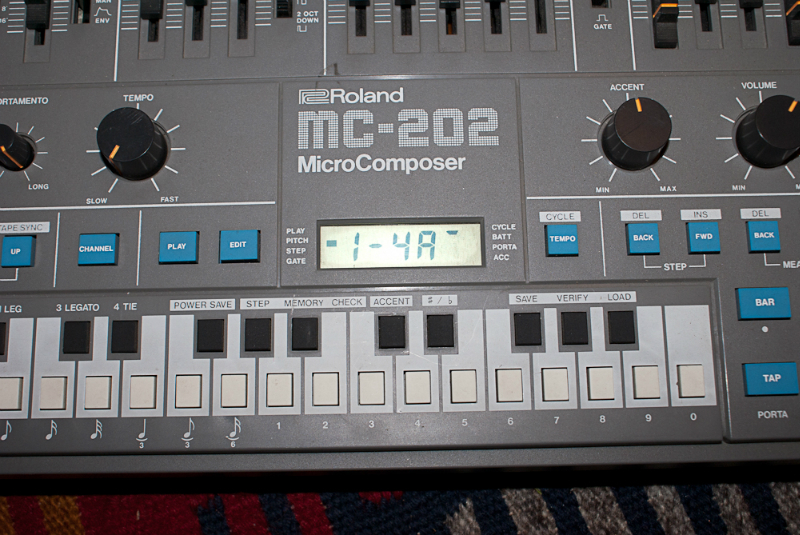 A friend and I sat there for a few minutes playing with both, comparing them, and checking out the sounds. 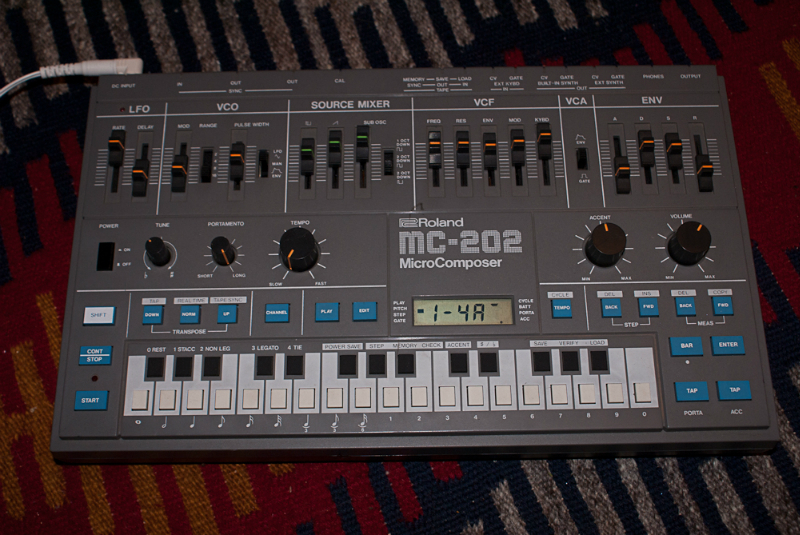 I decided to get the MC-202 as it had a better range of sounds, I thought. 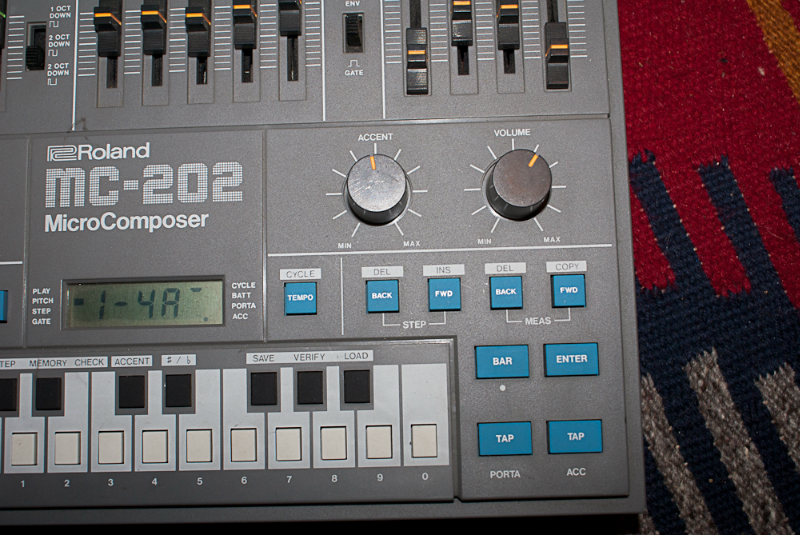 The TB-303 was also listed at $75. 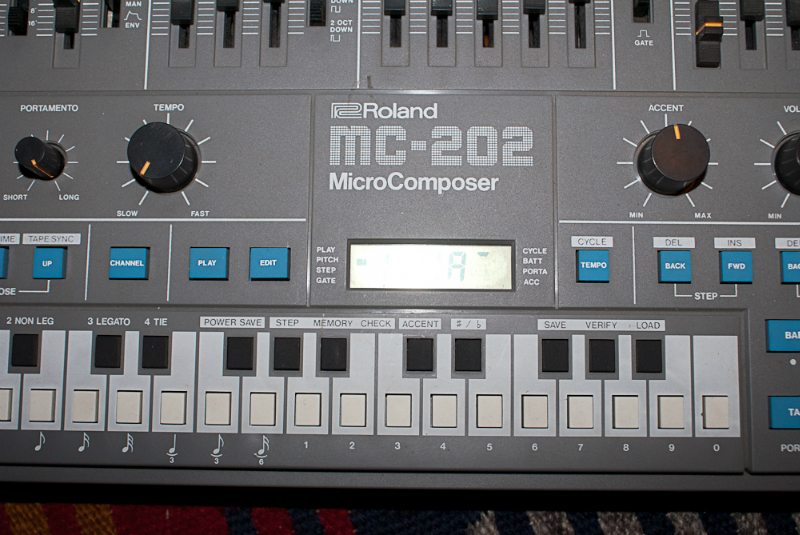 I suppose I could have made a better investment by buying the TB-303, but who knew that those things would get as popular as they did back then? 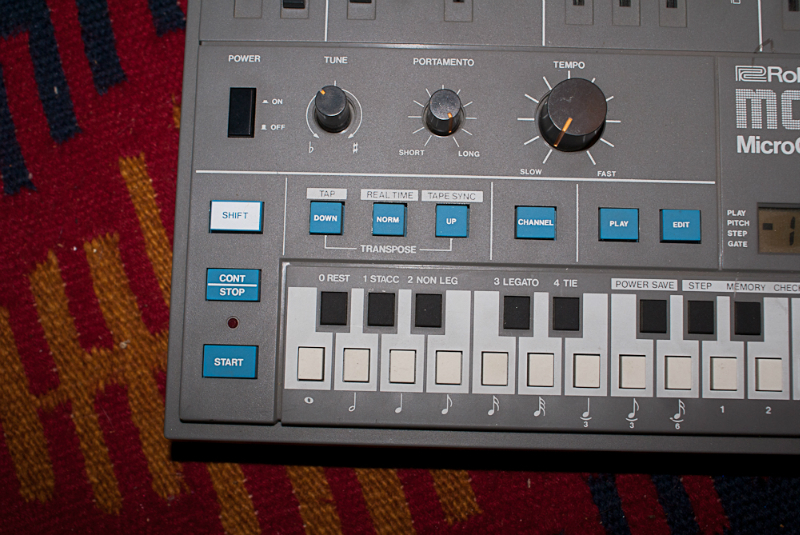 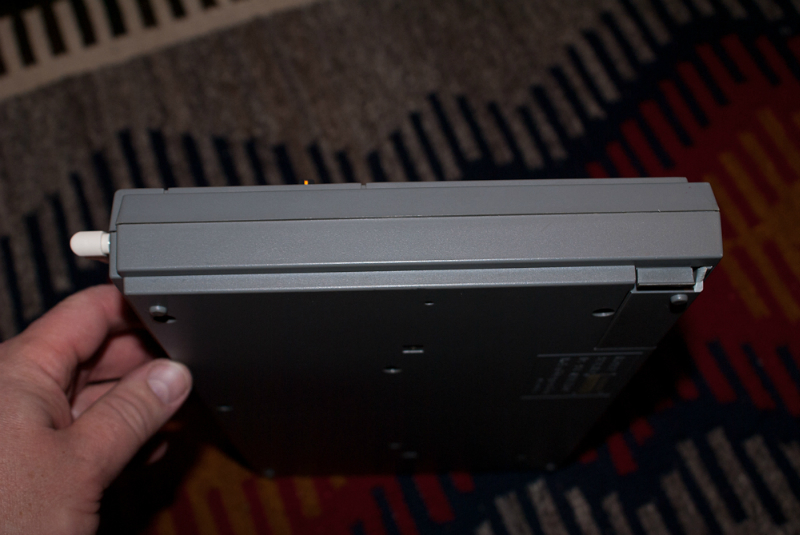 I traded it straight across in 2011 for a SH-101. 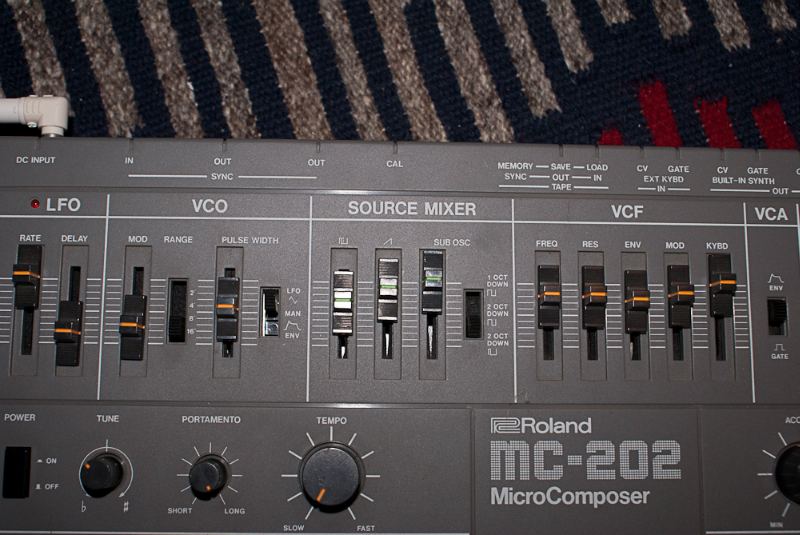 The guy with the SH-101 wanted something smaller and easier to carry, but he still wanted the sounds that the SH-101 and MC-202 have. 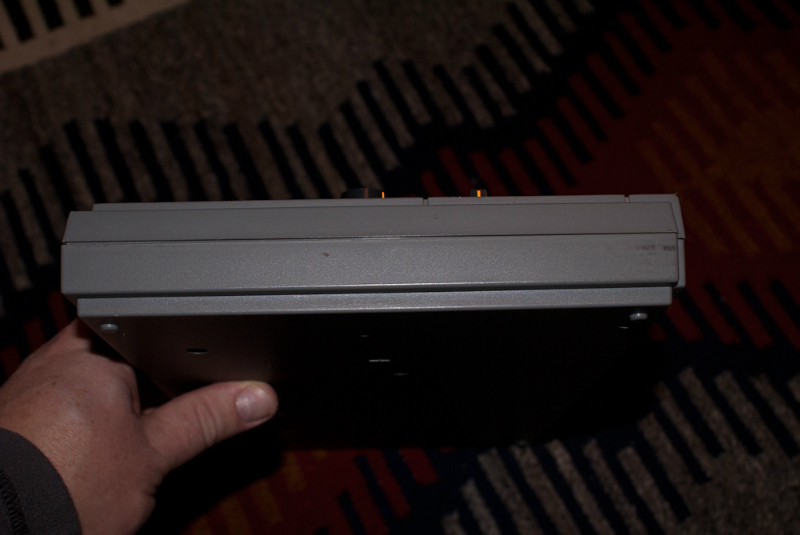 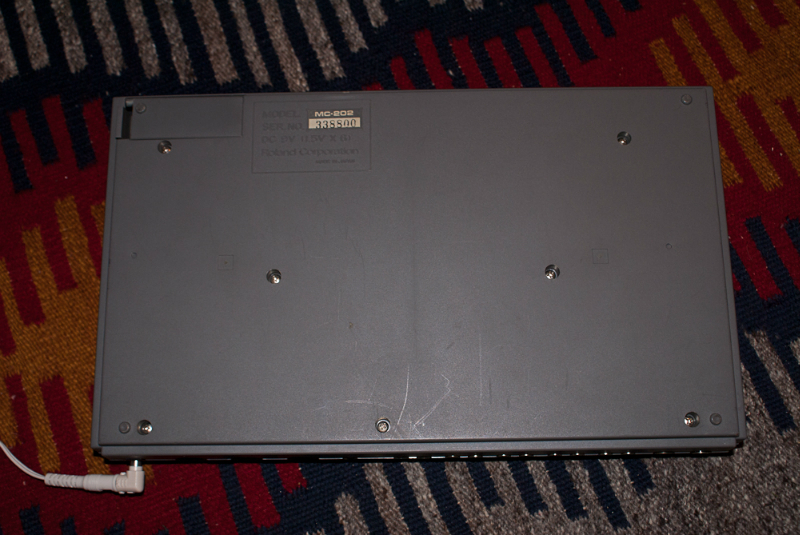 I eventually sold the SH-101 for $750 to raise funds for my Fairlight CMI IIx. 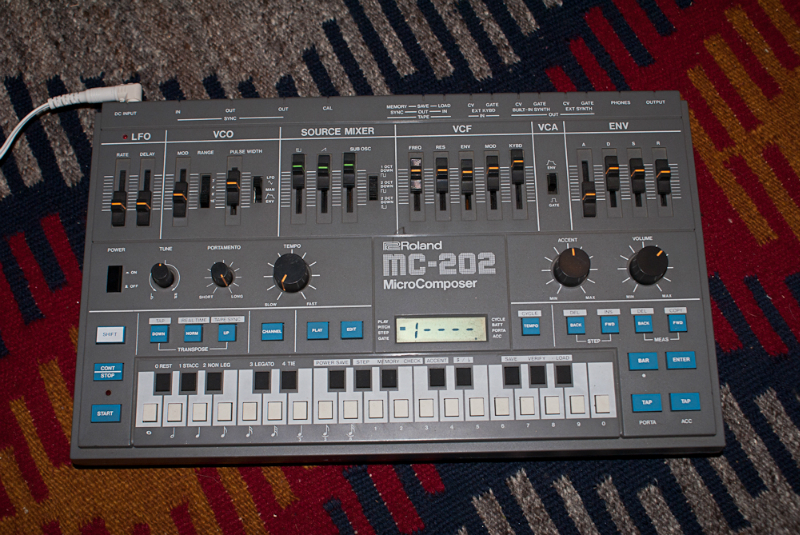 Here are some photos I took of the MC-202 before I sold it.